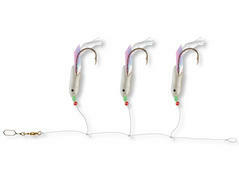 With 3 extra strong hooks and fish head. Perfect for coalfish and cod. 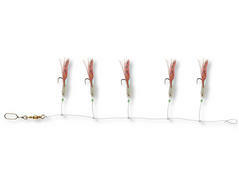 Atlantic rig with 6 hooks and glow bead. 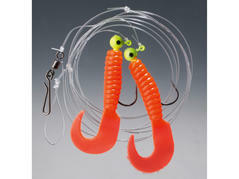 Perfect for whiting, mackerel, coalfish and cod. 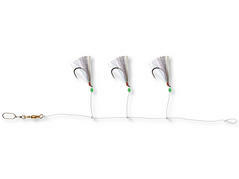 SEACOR Sea Paternoster "Tinsel Flash"
Blue-silver colored sea rig with 3 hooks and glow bead. Perfect for cod and coalfish. 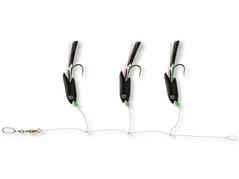 SEACOR Sea Paternoster "Black Flash"
With 3 hooks, holographic foil and glow bead. Perfect for coalfish and cod. With 3 hooks, real feathers and glow bead. Perfect for coalfish and cod. 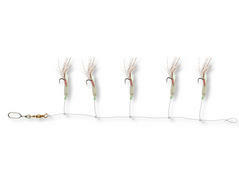 SEACOR Sea Paternoster "Brown Glow"
With 5 hooks. 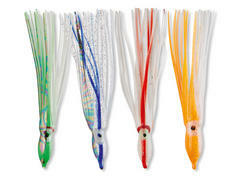 Especially on difficult days this color is ideal for whiting, pollack, coalfish and cod. 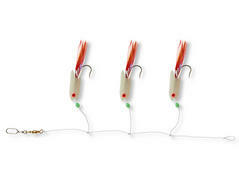 SEACOR Sea Paternoster "Red Flash"
With 5 hooks. 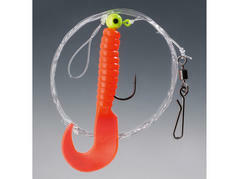 Perfect for whiting, pollack, coalfish and cod. 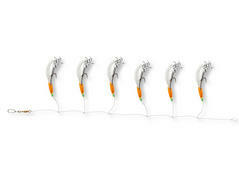 5 pieces in colors glow-lazer, orange-white, glow-green-lazer, red-white and blue-lazer. Perfect in combination with natural baits for wolffish, ling, hake, coalfish and cod.